When you get a new phone, you probably want to start using it right away. But all of your stuff is still inside your old phone, and you dread taking the time to back up that data to a computer, then hook up your new phone to load it up, right? Well, you don’t have to do that if you have today’s discount software promotion, FoneCopy - iPhone Android Transfer! FoneCopy - iPhone Android Transfer lets you transfer data from one phone to another with just one click. With FoneCopy - iPhone Android Transfer, you’ll be able to transfer all of your contacts, photos, and media, and avoid hassles when moving between the iOS and Android platforms. Best of all, your transfer is secure so that you’ll never lose any data. 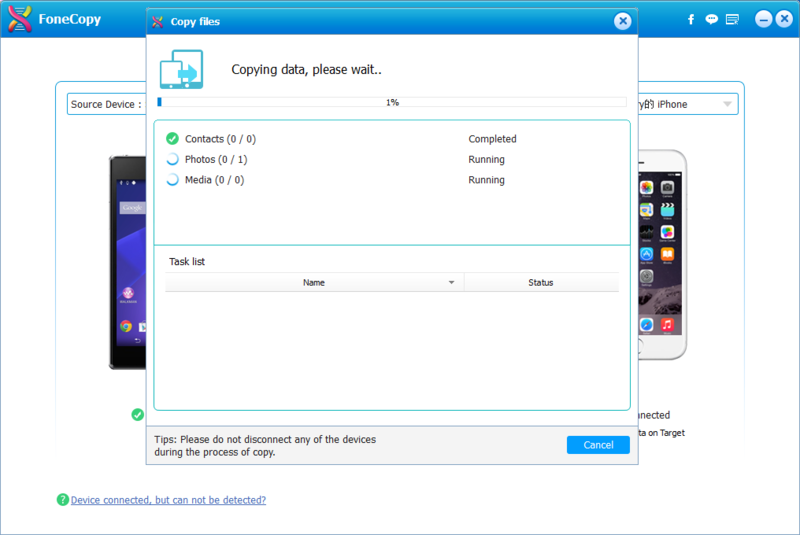 FoneCopy - iPhone Android Transfer also works well in a backup and recovery situation if your phone is dead or smashed. 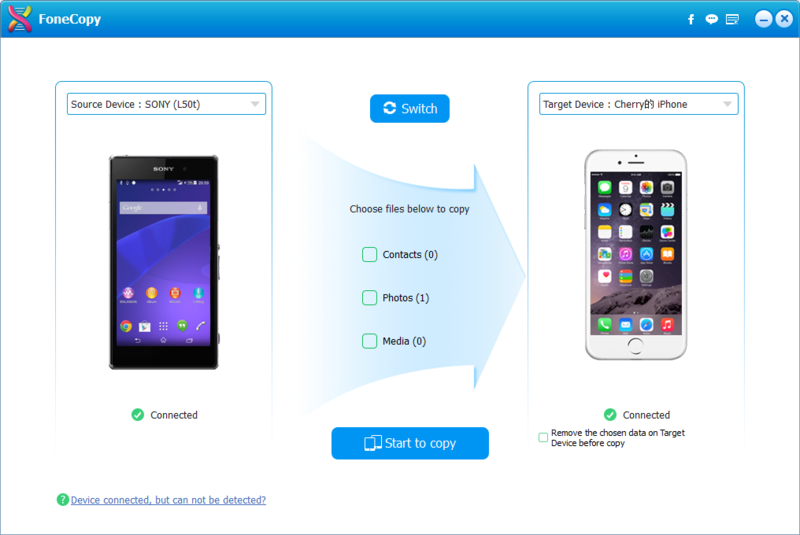 Just connect the ex-phone and another device to FoneCopy - iPhone Android Transfer, then click a button to back up your data to the working phone. 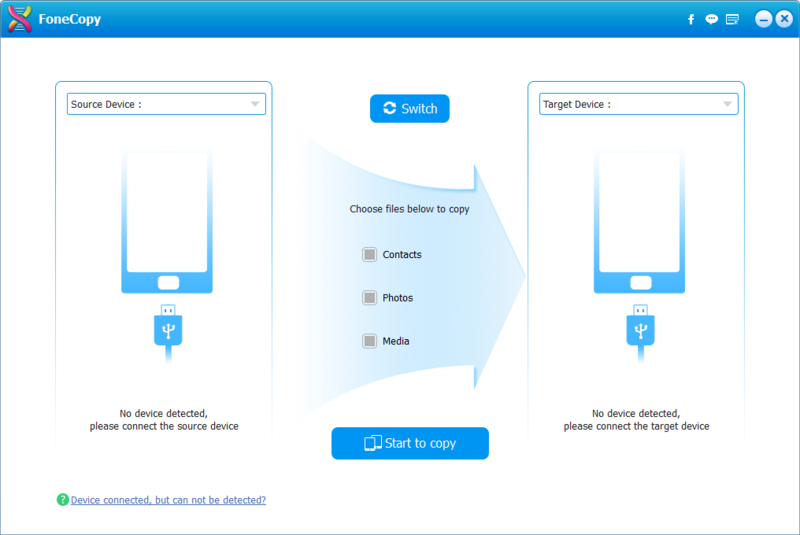 You have the option of either transferring your data on top of what’s in the target phone, or erasing the data on the target device in order to make it a clone of what you had on the old phone. FoneCopy - iPhone Android Transfer supports the latest and greatest iOS and Android devices, too! After you purchase FoneCopy - iPhone Android Transfer it may be used indefinitely. FoneCopy - iPhone Android Transfer is licensed per user, so if more people are going to use FoneCopy - iPhone Android Transfer you will need to purchase additional copies.